In an ideal world, people would drive down the cost of their health care services by keeping themselves constantly informed about necessary screening procedures: prevention is always cheaper than treatment. One type of medical app that can help us bring this ideal world closer is the risk assessment application. Risk assessment apps are often used by people who are into fitness or recommended by doctors to people who have chronic diseases that require constant monitoring. Risk assessment apps can also be used to evaluate environment-related health risks for people working in certain types of jobs like chemical production, mining, construction and others. Some chronic conditions like diabetes and cardiovascular diseases as well as certain types of systemic malignant tumors require constant monitoring by both patients and doctors; and risk assessment is just the first step in assuring necessary care. For example, people with a family history of cancer can learn through risk assessment apps how they can lower their chance of getting cancer by following personalized recommendations. The Cardiovascular Risk Calculator can be used by physicians and nurses, and is especially useful for general practitioners and family doctors. The risk calculator was designed with a general audience in mind, so you don’t have to be a doctor to benefit from the app – all clinical estimates and recommendations are easy to understand. Another calculator-like app bases its predictions of stroke and heart attack risk on the practice guidelines of the American College of Cardiology and the American Heart Association. Both institutions’ guidelines take into consideration known risk factors including high levels of cholesterol, high blood pressure, and a body mass index associated with obesity. Such calculators are invaluable tools to assess current risks and see how those risks increase or decrease over the time. Type II diabetes is another serious chronic condition that requires constant monitoring, so patients with a high likelihood of developing diabetes can benefit from diabetes risk calculator apps. Some risk calculator apps are developed primarily with clinicians in mind, while other similar apps are designed for patients themselves and provide useful advice about lifestyle changes and the optimal frequency of health checks. 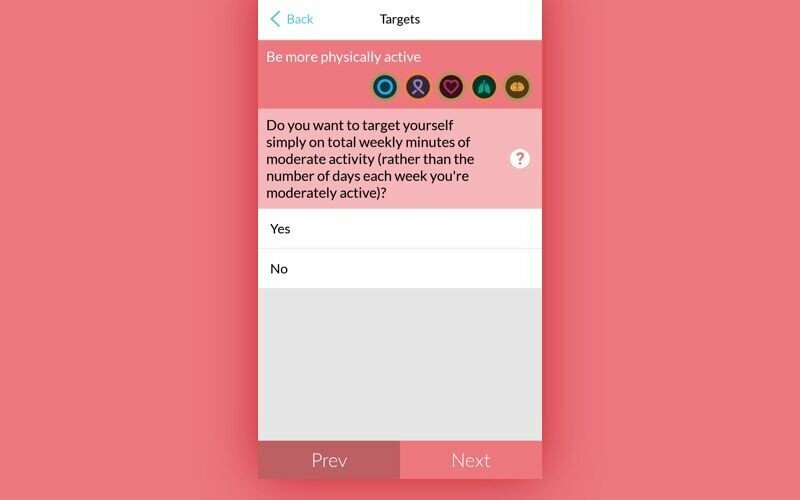 BRISK is another example of a health risk assessment app, this time aimed at assessing the risk of developing breast cancer. The BRISK app helps assess the age-specific risk of breast cancer for women with a family history of breast cancer and/or ovarian cancer. UK company roadtohealth has created a health improvement app called Quealth. Quealth, available for free on the App Store and the Google Play Store, helps health-conscious users assess their risk of developing all major ailments known in the developed world that are preventable at least to a certain extent. Quealth offers a set of questionnaires that assess five “zones” of health,each circle representing the risk of developing one of five diseases: diabetes, cardiovascular disease, cancer, dementia, and chronic obstructive pulmonary disease. Users are assigned a “Quealth Score” ranging from 1-100 (the closer you are to 100, the lower your risk). Quealth is a great pick for people who want to set a goal, follow up on it, and assess how changes in their lifestyle reflect on their health over time. The app tells users what they can do to decrease a particular risk, recommending steps (according to recent guidelines by authoritative medical institutions) like reducing alcohol consumption, eating more fiber-rich foods, and exercising moderately. Quealth is a good example of a risk assessment app that can keep users’ attention even after the initial enthusiasm subsides: most risk assessment calculator apps are seen as one-time-use software. 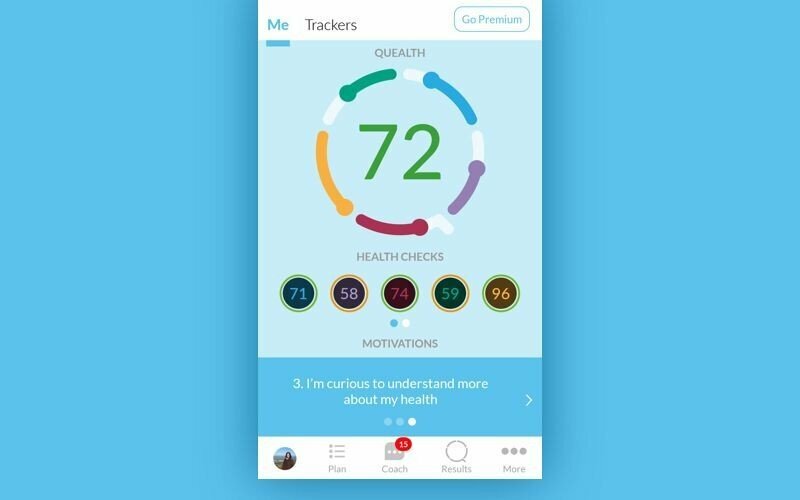 Letting users set short-term and long-term health goals, the app encourages users with daily advice based on personal goals: quitting smoking, exercising more, or eating more fruit, for instance. Quealth can help users make a lot of small changes to their lifestyles that will eventually result in longer, healthier lives. WellRight is an app that focuses on setting goals and monitoring progress for followers of the WellRight wellness program; in this case, risk assessment is just a bonus. People who are fond of fitness and wellness programmes appreciate clearly stated goals and illustrative diagrams that show their achievements. There are various types of software available to estimate health risks associated with environmental factors. For instance, E-FAST (Exposure and Fate Assessment Screening Tool) provides screening-level estimates of the concentrations of chemicals released to air, surface water, landfills. These data are used to estimate how hazardous a particular environment is. The Security Risk Assessment Survey mobile app is a safety management tool that can be customized according to specific business requirements to conduct risk assessment at construction sites or office buildings. Managers can benefit from using the app to identify existing safety issues and improve the work environment so that it meets standards required by the Occupational Safety and Health Administration. The nature of medical risk assessment apps presents a number of challenges for their creators. What are the challenges of developing and promoting a health risk assessment app? 1. Creating a proprietary algorithm or acquiring a third-party algorithm that assesses health risks for a particular group of users. Health risk assessment requires access to statistical data and calculating probabilities. Often, health risk assessment apps are designed based on existing medical guidelines from authoritative healthcare institutions. For example, somebody who wants to develop a heart disease risk assessment tool can use the SCORE risk charts as a reference. SCORE stands for Systemic Coronary Risk Evaluation – a set of charts that show various risk levels for people based on their gender, age, smoking status and total cholesterol level. The American Society of Clinical Oncology provides a number of useful tools that help assess the risk of developing cancer for patients with pre-existing conditions (genetic mutations) and based on a patient’s demographics (age, race or ethnicity, and occupation). Developing your own proprietary algorithms is clearly more expensive and requires cooperation with a number of healthcare professionals. That’s what Quelth did, however, with its team of health experts who helped develop the Quealth risk evaluation algorithms. 2. Developing an engaging user experience. There’s a reason why a lot of risk assessment tools are merely pages embedded in a larger medical website. Very often, risk assessment tools designed for clinicians look like boring one-page questionnaires with a lot of complicated medical vocabulary. A mobile risk assessment app created in this style will almost certainly fail, since nobody’s going to come back to retake the same test again. To make users come back to health risk assessment apps, these apps must offer an engaging follow-up. For instance, Quealth solved this problem by combining personal health goals with hand-picked health-related content. Thus, Quelth educates people and motivates them to come back and run the risk assessment algorithm again and again. 3. Getting a risk assessment app approved by medical institutions or the FDA. Any app that is meant to be used in clinical settings or that can be used by patients in place of an actual visit to the doctor is a potential legal liability. Apps that can be used for complex calculations in the medical field are seen by the FDA as “medical devices,” and have to be submitted for FDA approval prior to their release. So before starting to develop this type of app, you should consult with FDA guidelines for mobile medical applications. Health risk assessment apps can be developed as standalone mobile applications or as web apps that are part of a larger health portal or website. Either way, risk assessment software serves as a valuable connection between doctors and patients, helping health-conscious users keep up with the latest medical recommendations and make informed lifestyle decisions that affect their health and wellbeing.